William Christenberry, Photographer Who Found His Muse In Rural Alabama, Dies At 80 : The Two-Way The photographer, who also painted and sculpted, returned to the place of his youth every summer, chronicling the lives of old buildings and roadside businesses as they changed with age. 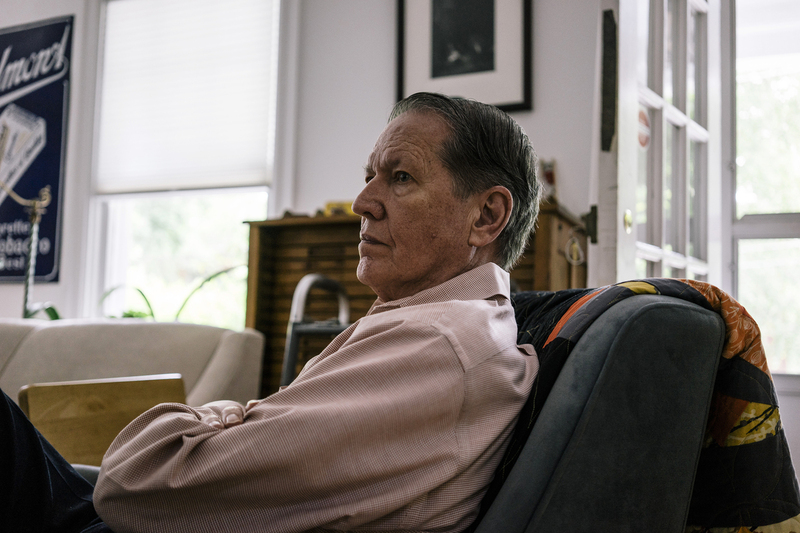 Artist William Christenberry at his home in Washington, D.C., in 2015. Christenberry died Monday at the age of 80. "I was just infatuated with it proportionally," Christenberry said during a 2006 interview with All Things Considered. "The fact that they took this artificial brick siding, which you can buy in rolls and staple or tack it up there, and somebody who must've had a great sense of humor, or was totally ignorant of what he or she was doing, covered the front door and made it look like a brick door!" William Christenberry/Courtesy Hemphill Fine Arts, Washington, D.C.
Christenberry died Monday at the age of 80, from complications related to Alzheimer's disease, according to his daughter Kate. And among the many pillars of his legacy is the odd, little house that so fascinated him. Though he had moved to Washington, D.C., in 1968 to take up a position at the Corcoran College of Art and Design, Christenberry returned every year to rural Alabama, where he had spent his summers as a child. It was a pilgrimage he made for decades. 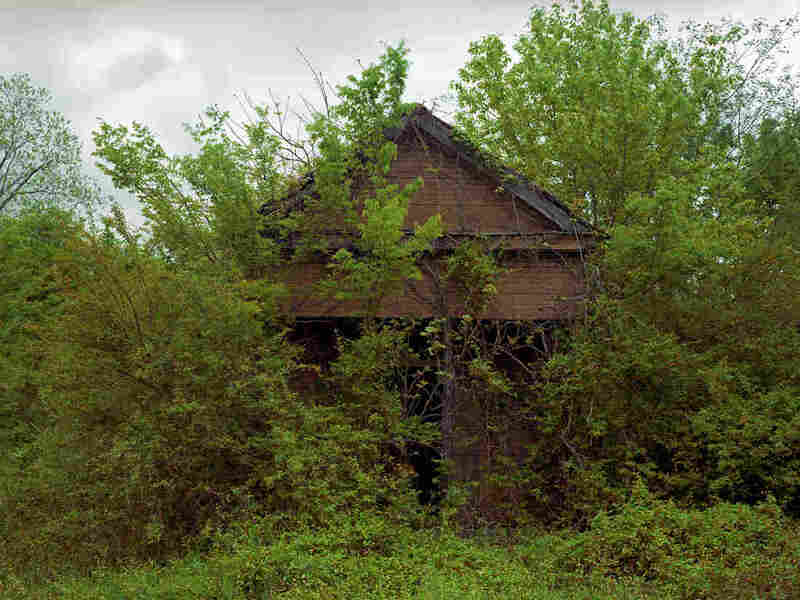 There, he photographed the house — which he later learned was once a one-room schoolhouse — along with small churches and roadside businesses, as they changed with age. 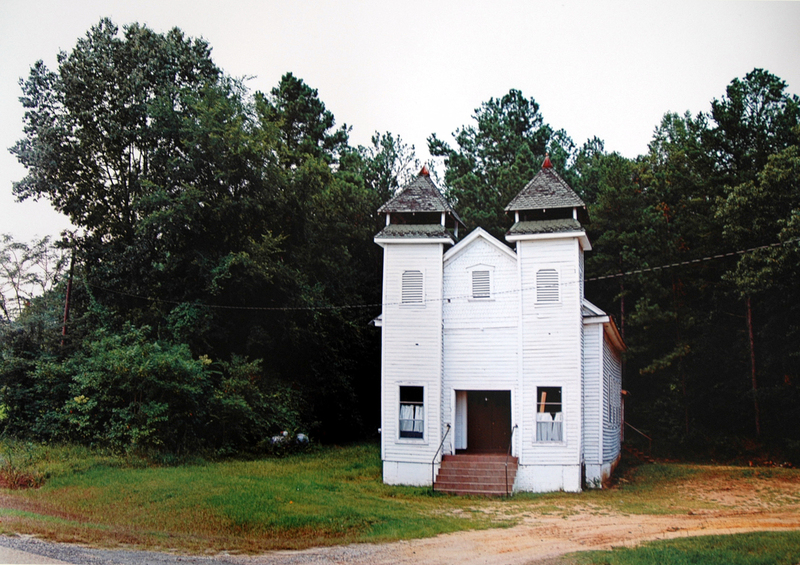 William Christenberry, Church, Sprott, Alabama, 1981. "I'd go into that landscape, what I call the landscape of my childhood, and make these snapshots," he told NPR. "Never did I dream that years later the world of fine art photography would see something in these." And the world of fine art did indeed take notice. "What was really spectacular about [his work] is that he made that subject matter universal," Margaret Lynne Ausfeld, senior curator of art at the Montgomery Museum of Fine Arts, told Tuscaloosa News. "When you look at his work, what you see is basically the transitory nature of our life and our world and how things are inevitably going to change over time." Christenberry, who also worked in abstract painting and sculpture, forged an enduring friendship early in his career with another photographer, Walker Evans. Evans' Let Us Now Praise Famous Men, a book of photographs that recorded a trip he took with poet James Agee to Hale County, Ala., in 1936 — the year of Christenberry's birth. After the two photographers met in the early 1960s, Walker's work and advice helped shape Christenberry's development. 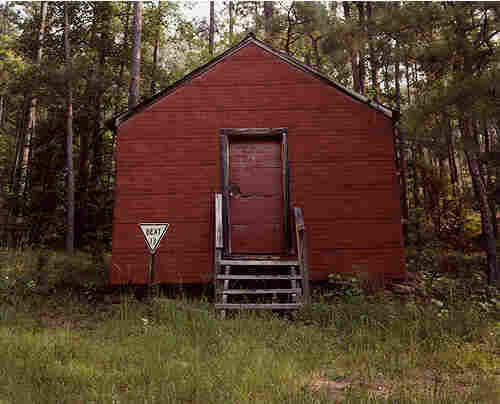 William Christenberry, Building with False Brick Siding, Warsaw, Alabama, 1991. "Walker was a great influence. We exchanged ideas until his death, and I like to think there was a lot of cross-influencing," Christenberry told Afterimage magazine in 2005. Yet, despite the fact they shared a subject at times, Christenberry said his relationship to Alabama was always different. "His view was objective. My stance is very subjective," he told the magazine. "The place is so much a part of me. I can't escape it and have no desire to escape it. I continue to come to grips with it." And even as he won fellowships from the National Endowment for the Arts and the Guggenheim Memorial Foundation, Christenberry said the long-beating heart of his art remained the same. "I don't want my work to be thought of as maudlin or overly sentimental. It's not. It's a love affair — a lifetime of involvement with a place. The place is my muse."